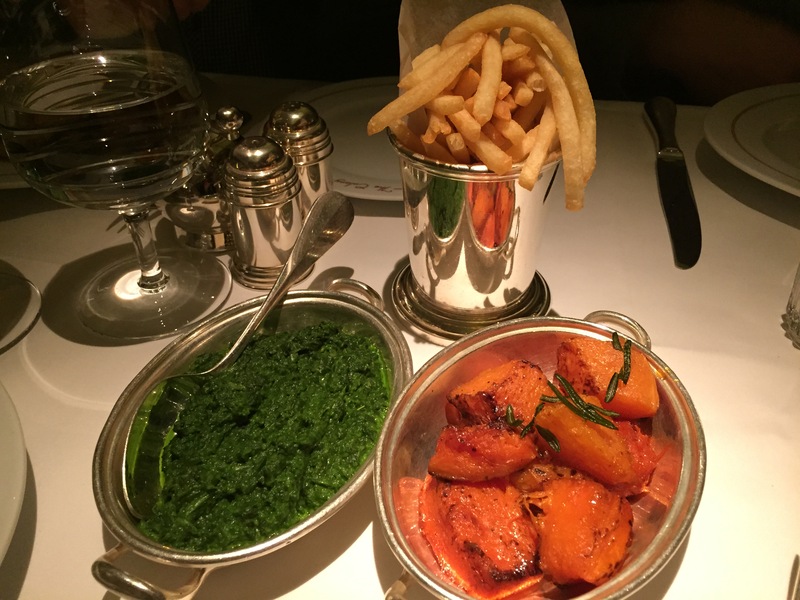 The Colony Grill is the latest offering from restaurant giants Chris Corbin and Jeremy King, who also own The Wolseley, Delaunay, Colbert, Brasserie Zédel, Fischer’s and now this, inside the recently opened Beamont Hotel in Mayfair. 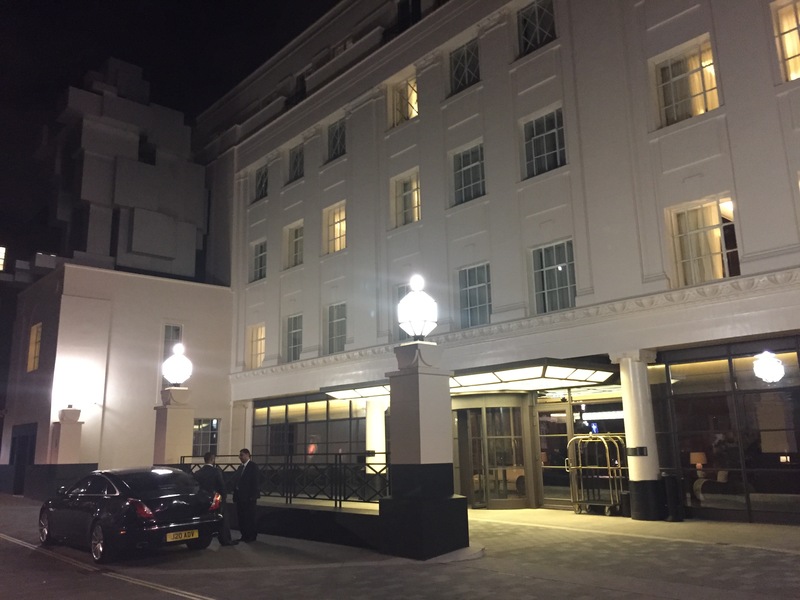 It’s a grand building in an understated kind of way – the giant Antony Gormley art installation on the outside (which is actually a suite you can stay in) is a thing of beauty. The dining room was small with no windows and a low ceiling but with that comes a certain intimacy and great atmosphere. 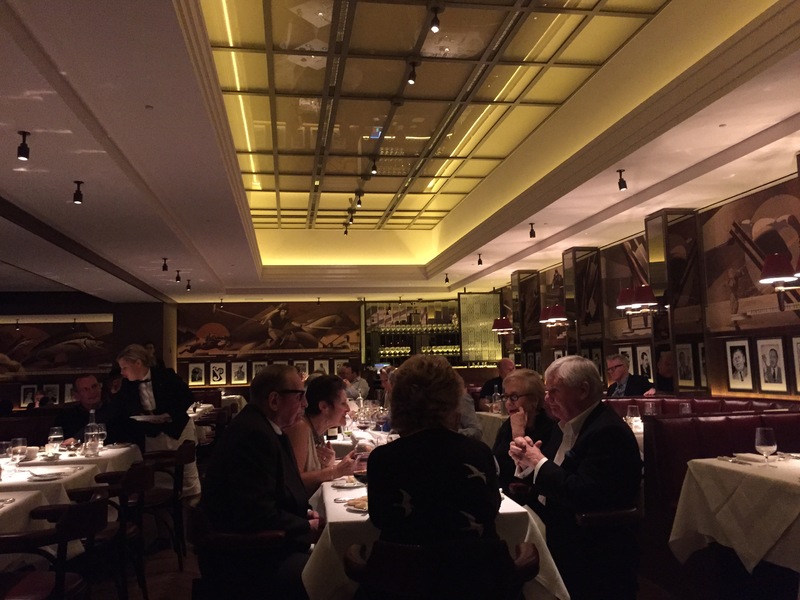 There was an exciting energy about it all; we were seated near Raymond Blanc and Margaret off of the Apprentice (they weren’t together) – it felt like how I imagine The Ivy once was. The only downside to our perfect for people-watching booth was the lack of space; the four of us felt mega packed in. Fair enough we’re a family of fatties but I think it was just a little too cramped to really enjoy ourselves. The menu was eclectic and there really is something for everybody. 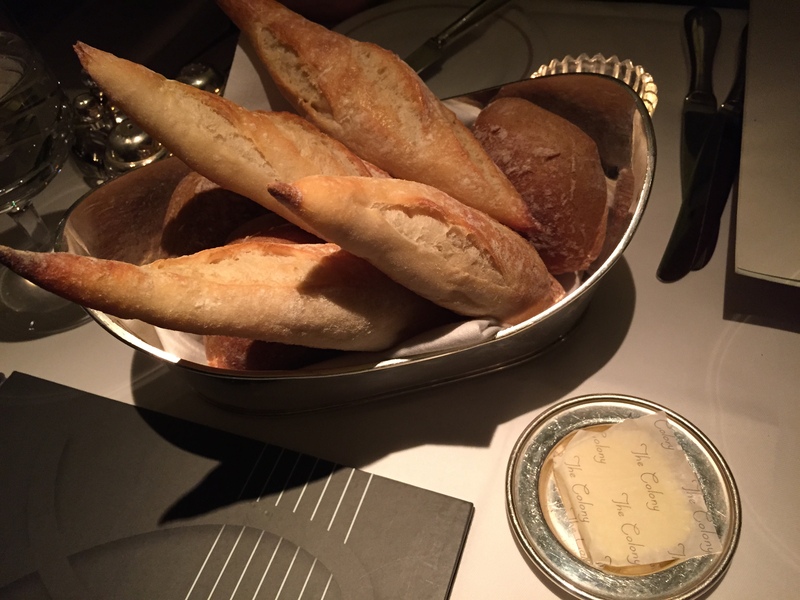 To get things going, as is often the case with a Corbin and King restaurant, some very decent bread and butter hit the spot perfectly. 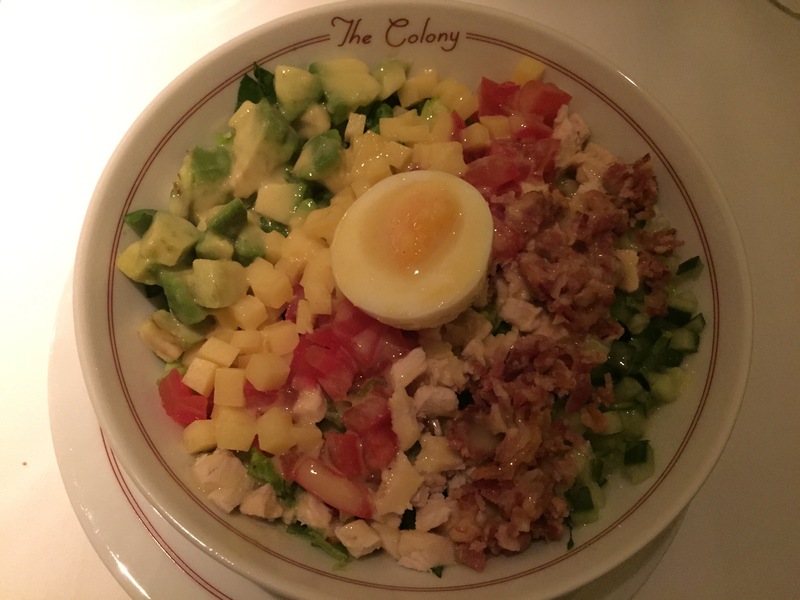 To start I went for the Colony Club Salad (£8.50) which was most pleasant indeed. Finely diced avocado, cheese, tomato, chicken, bacon and cucumber (I’d hate to be that poor chef) drizzled with a tangy dressing made for a really light and refreshing salad. The New York shrimp cocktail (£14) wasn’t served how I imagined as there was no lettuce with it but the shrimp were of exquisite quality and taste and they came with a fiery tomato sauce which was great. 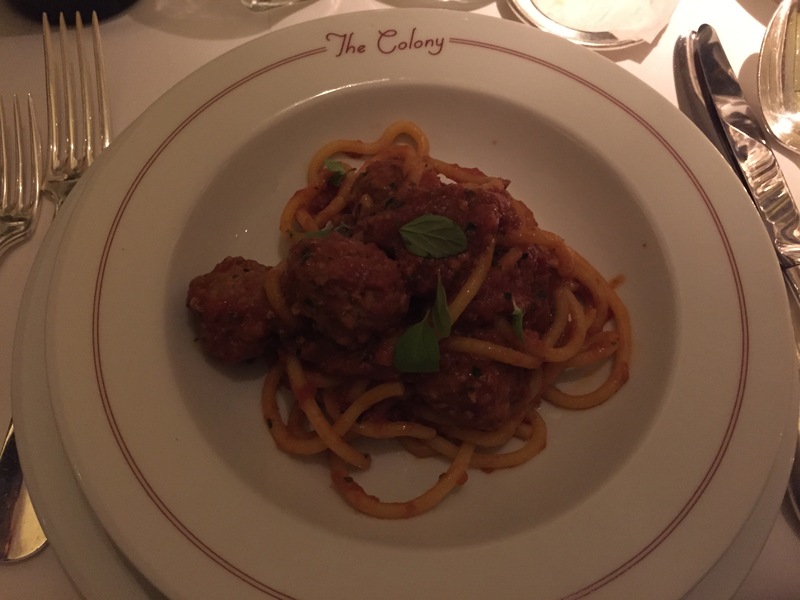 Bigoli and meatballs (£10) was a comforting plate of thick spaghetti and plump, juicy meatballs. 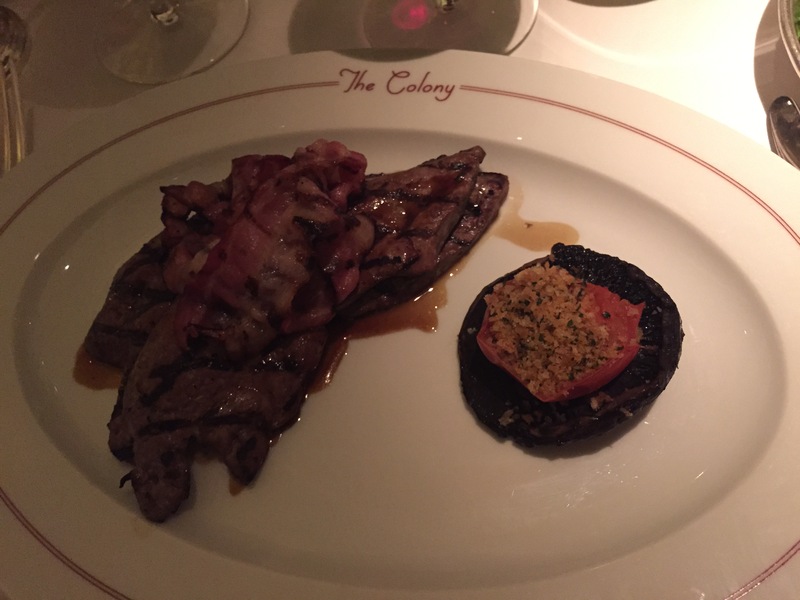 For main, the calf’s liver and bacon (£19.75) was perfectly cooked and not dry or chewy which is so often the case. 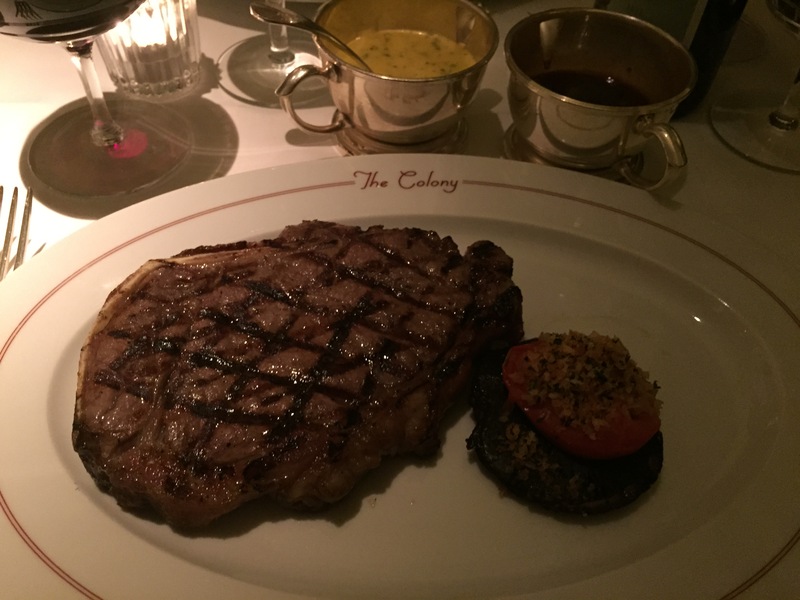 The 14oz New York strip on the bone (£37.50) certainly wasn’t cheap but it was the most enjoyable steak I’ve had in ages. Both were served with grilled mushroom and tomato which seemed so charmingly old fashioned. 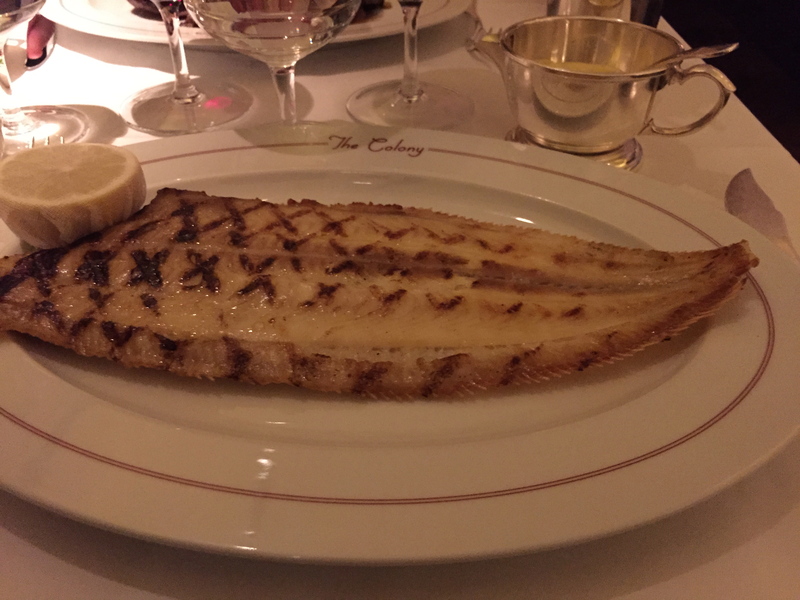 Grilled Dover Sole with bearnaise (£38.50) was exquisite – and for a restaurant that doesn’t specialise in seafood the quality and cooking was seriously decent. 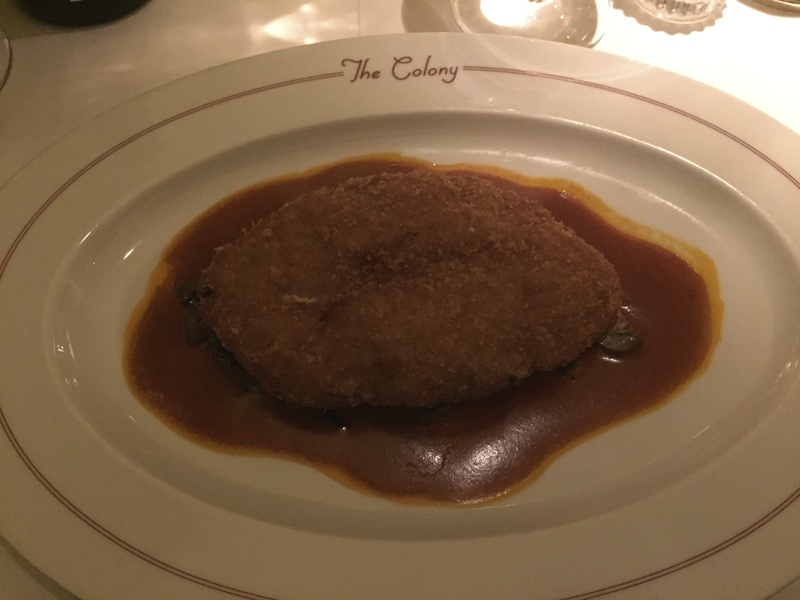 The veal pojarski (£19.50) was a minced veal version of a schnitzel and although the sauce that surrounded had created an unpleasant skin, the flavour was really enjoyable. A side of roasted pumpkin (£4.25) was particularly wonderful as it isn’t often seen on a menu. The French fries (£4.50) were as perfect as you’ll find and the creamed spinach (£4.75) did just the job. 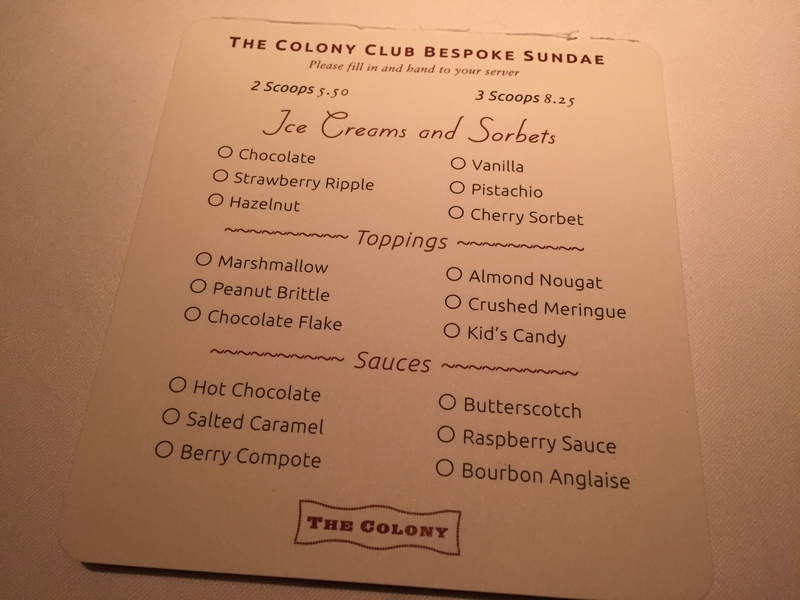 As tempting as most of the desserts sounded we could hardly resist ordering a Colony Club Bespoke Sundae (you choose what you want from a mini menu). 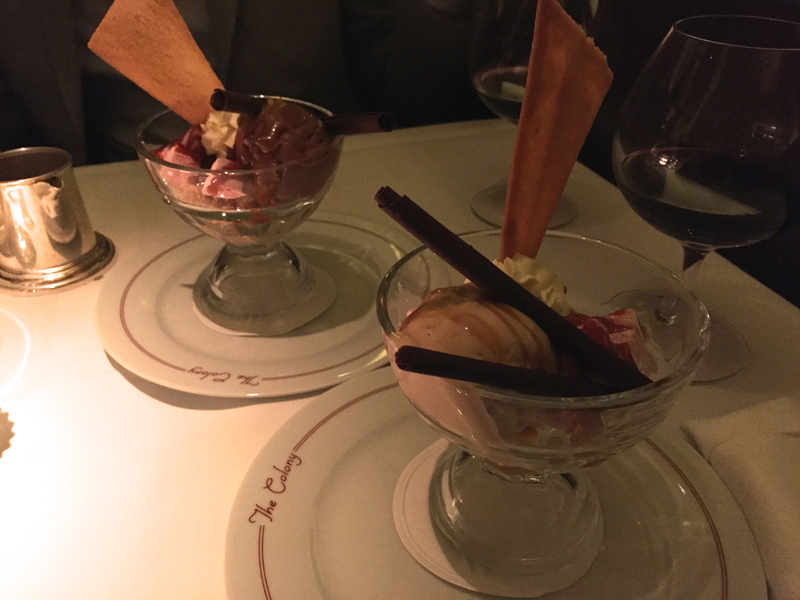 With a generous choice of ice creams/sorbets, toppings and sauces, it brought back memories of the Ice Cream Factory at Pizza Hut – but the posh version. Two scoops (£5.50) of hazelnut and vanilla topped with a flake, marshmallows and salted caramel was a winner for me. 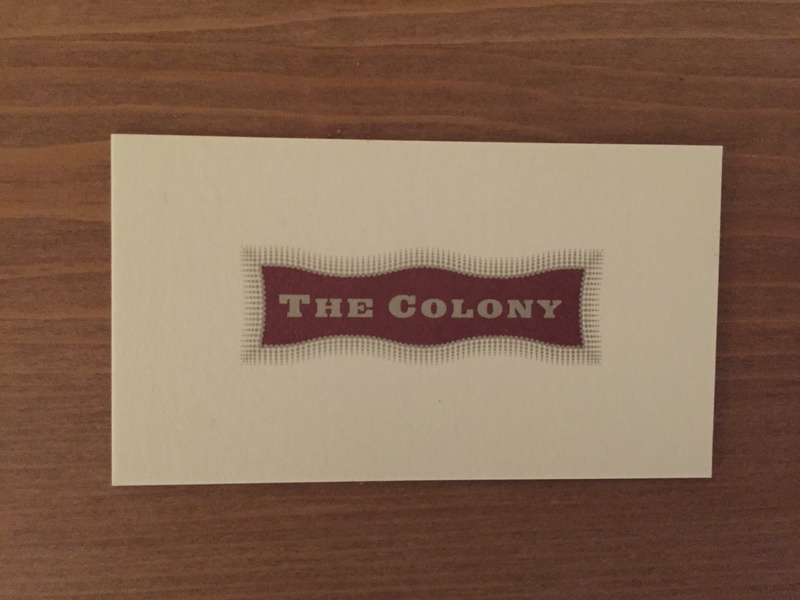 Colony Grill is undoubtedly an exciting place to go for dinner. 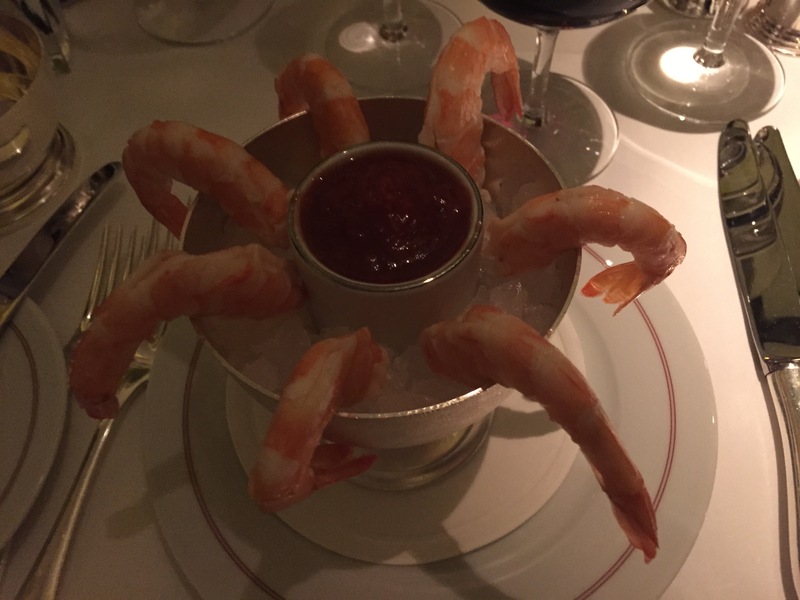 It’s good old fashioned glamour with charming and perfectly executed service with really tasty grub thrown in. Like all their other restaurants, they just seem to get it right from the beginning.